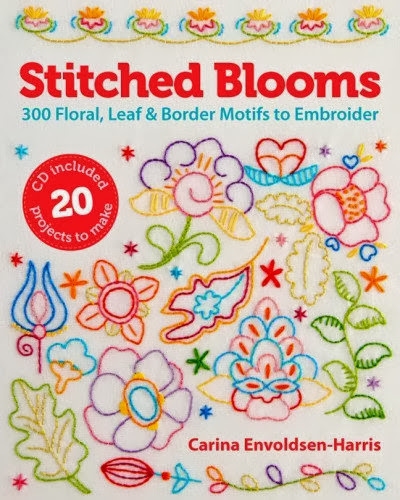 Oops, I totally forgot about the Stitched Blooms giveaway! What a disorganised blogger I am! Apologies to any of you who checked my blog yesterday expecting the winner to have been announced already. ... and the winner is Anna who said "Oh I saw this book the other day, it's so cute!" Congrats, Anna! I've been off on a couple of Nice Days Out (as I mentioned the other day, I'm determined to catch up on the days I've missed due to illness/deadlines/etc) and have been taking lots of photos to share with you guys this coming week, once I've had a chance to sort through them all. I've also been doing a little bit of shopping, treating myself to a couple of "early Christmas presents-to-myself". 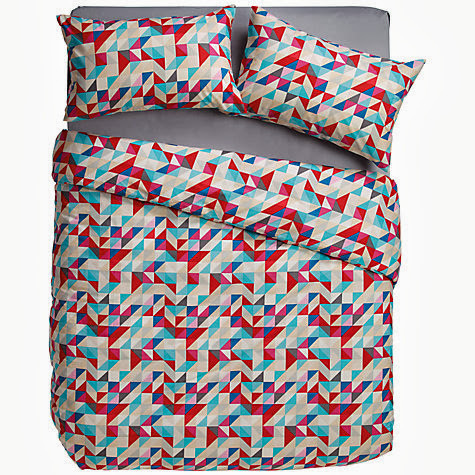 I bought a set of this awesome geometric bedlinen from John Lewis - isn't it great? So much delicious colour. This is going in a box with all the stuff from my old flat / being saved for when I get a new flat. It feels a little silly to be buying something and then packing it away, but I can never find bedlinen I like when I actually need to shop for it and this was just too marvellous to resist. 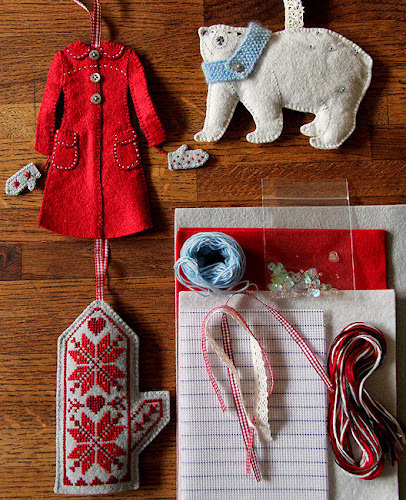 Also too marvellous to resist was the new ornament kit from Alicia Paulson. I bought some of her ornament kits last year and was really looking forward to seeing this year's new designs. 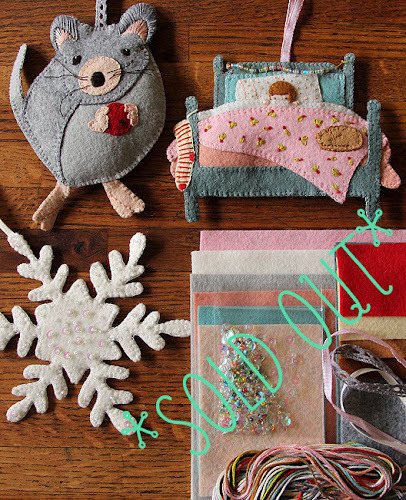 I was very lucky to get one of the new kits as they sold out within about 24 hours of her putting them in her shop! Wow. The months running up to Christmas are soooo busy when you're running a shop and sending out lots of pre-Christmas parcels - now I'm winding down that side of my business I'm really looking forward to having some more relaxing winters and having the time to work on festive projects like these. I love the JL bed linen!! My Sky Blanket... Finally Finished!